other financial portals to judge the success and efficacy of the alternative approach. Clearly the financial community was poised for the report and the news flow was seemingly unimpeded by the change in disclosure methodology which eliminated paid wire service dissemination in favor of a website led disclosure supplemented by Twitter communications. 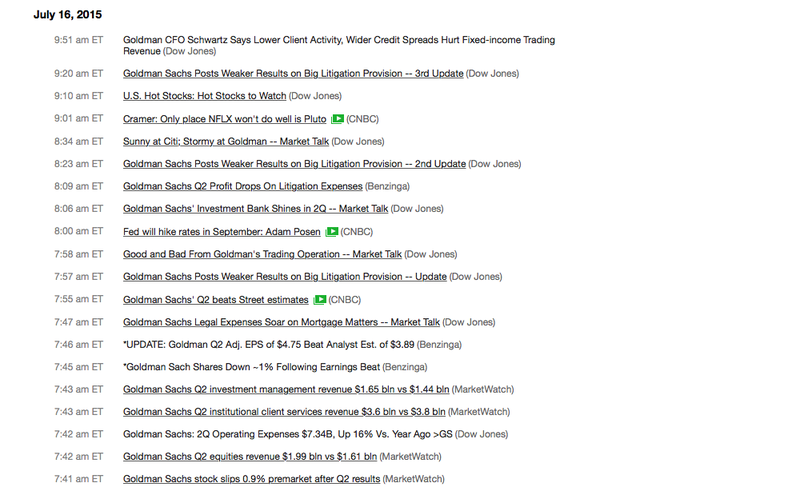 on their website at 7:35am ET – possibly 7:34am ET however, Dow Jones’ headlines started reporting the results at 7:33am ET. advance notification of certain major financial media such as Dow Jones did not achieve the same level of access to the source content (the actual release) as did Goldman’s previous paid wire service distribution. 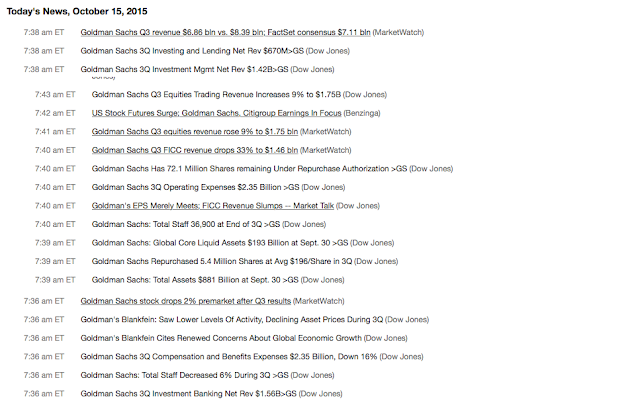 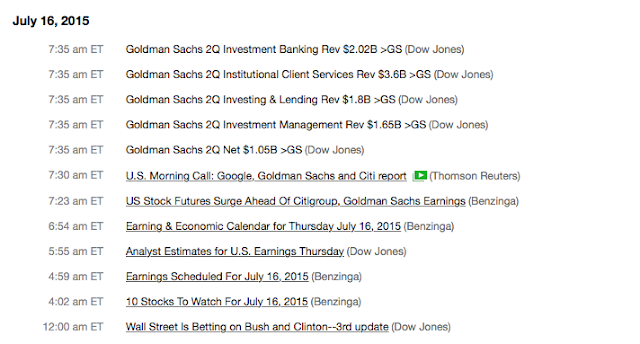 Also, anecdotally, the first MarketWatch Clip today was at 7:40am ET vs. 7:37am ET for Q2 reporting. 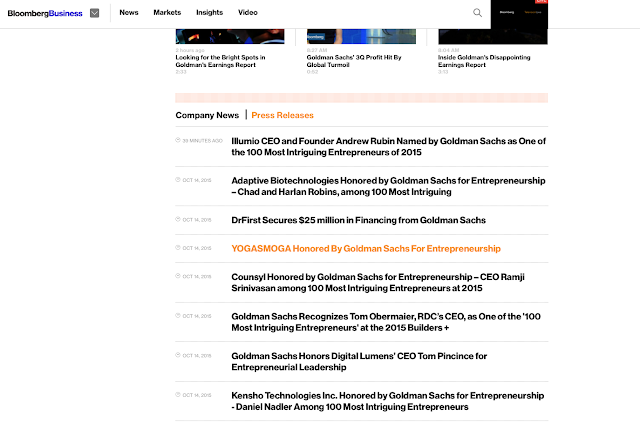 Again, while we do appreciate the attempt to innovate, we do hold innovation to a standard of efficacy and relevance and for that reason we’ve gone out of our way to raise caution about this new approach for Companies considering it. 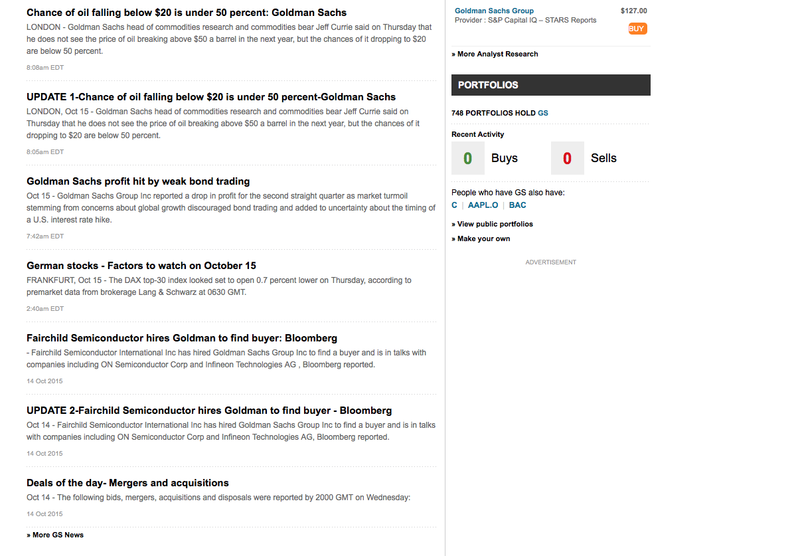 The analogy that comes to mind is that if we needed a document to “absolutely, positively” be somewhere the following morning, we would utilize one of the major overnight courier services, rather than to construct our own distribution channel of fast cars and fast drivers to achieve the same goal. It just does not seem that safety or efficacy were served in this experiment, but we welcome any evidence that in fact this is a far better idea. 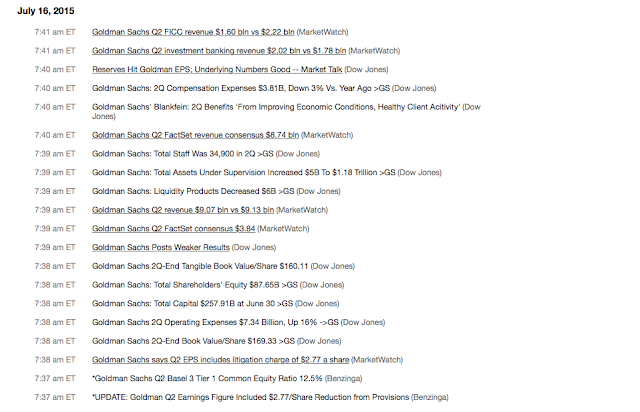 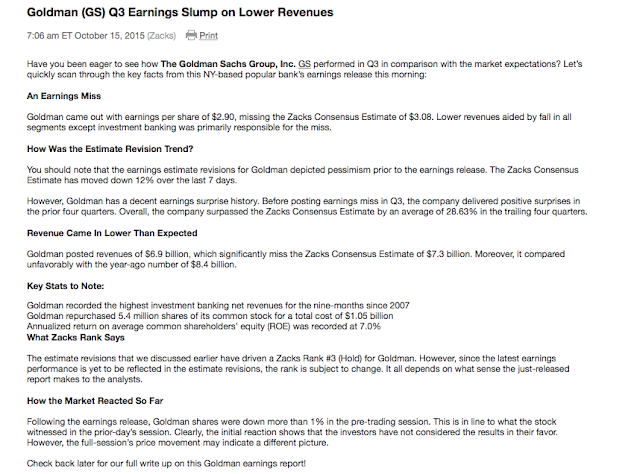 Goldman’s Q3 results are not listed in the Press Release section for Goldman on Bloomberg.com – not a terrible issue given that some coverage of the results appears on the website – but not an ideal result for 1/4ly results. 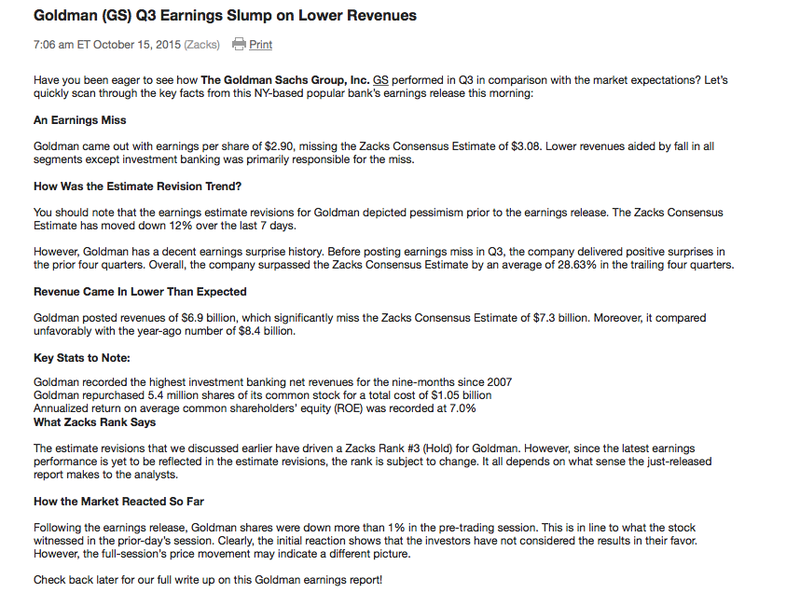 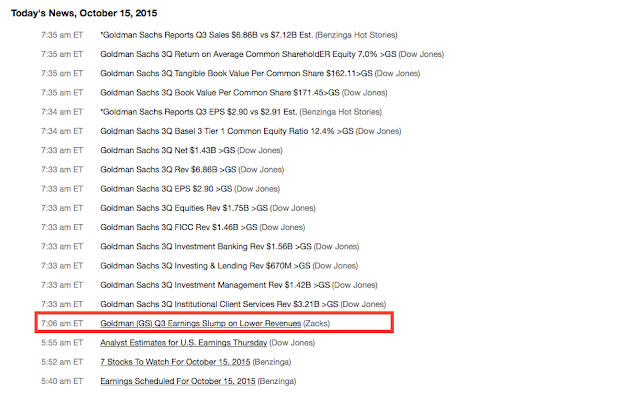 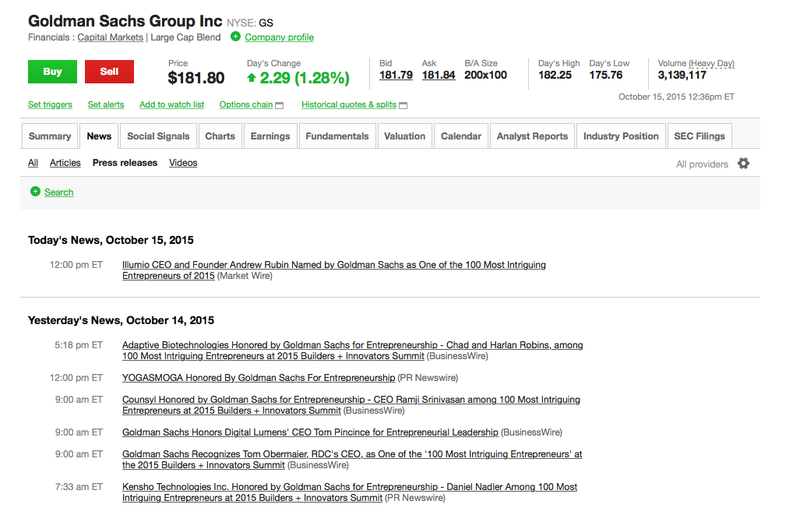 Similarly, on TD Ameritrade when searching on press releases, Goldman’s Q3 results are nowhere to be found – again not a desirable outcome. 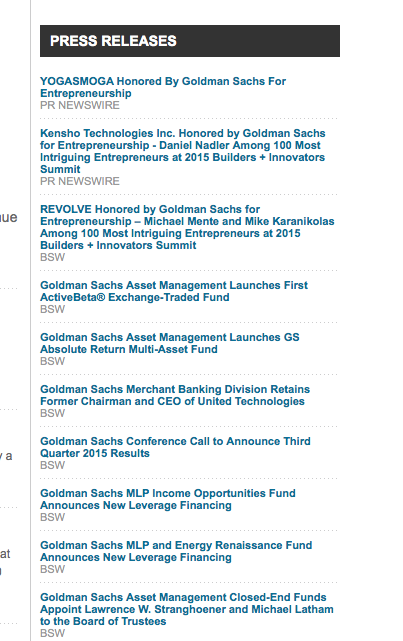 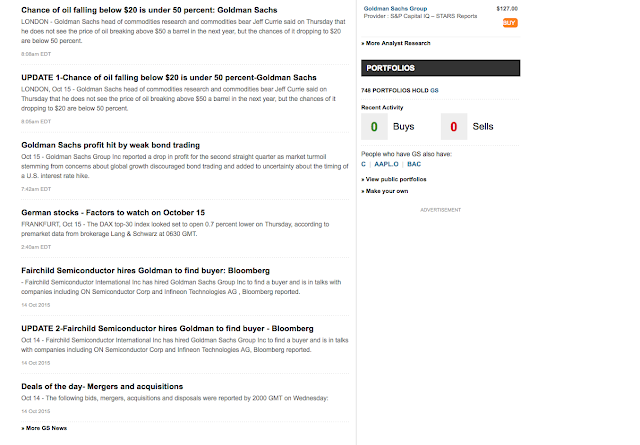 Goldman’s Q3 results are discussed in a news item on Reuters but the full text of the results is not available on Reuters news page for Goldman. 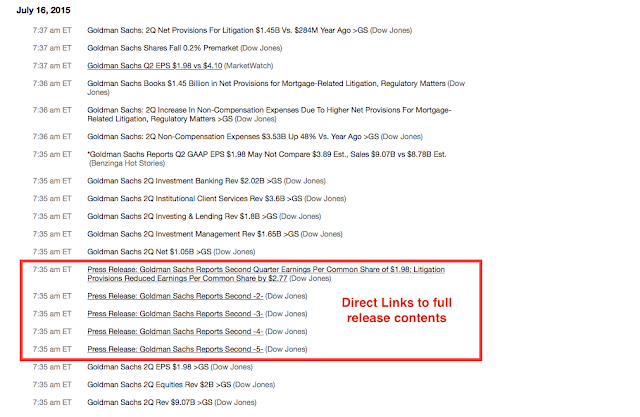 Here’s the news item attributed to Zacks but we don’t believe was issued until after the release was posted to the website around 7:34 or 7:35 – it’s time stamp of 7:06 am therefore appears to be incorrect. 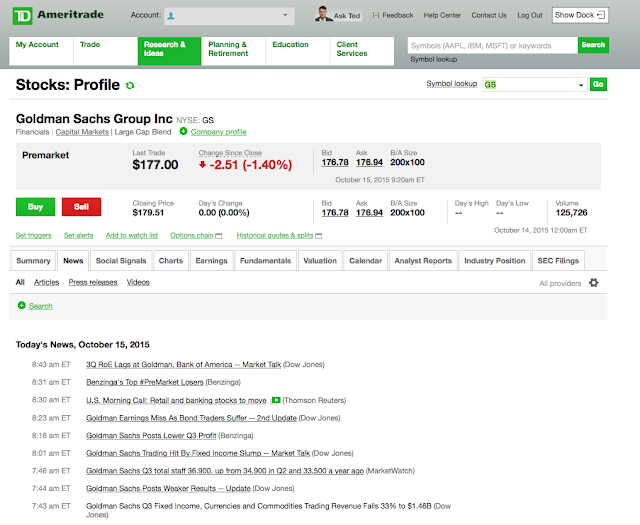 While not a major issue, it does raise a question as to the accuracy and reliability of data that gets reported and then consumed by investors.